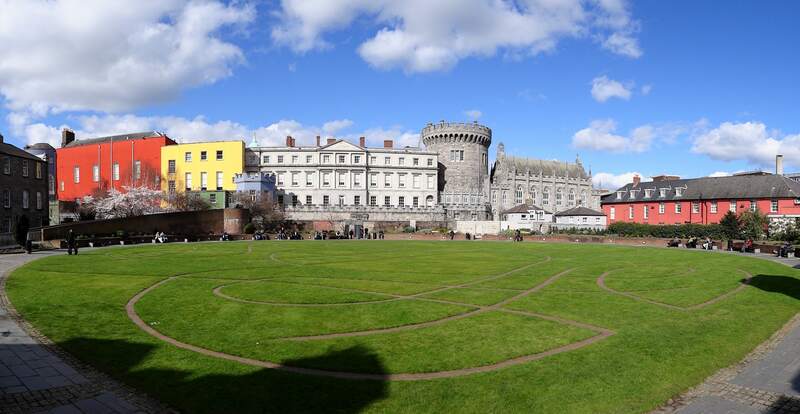 It paints a lovely picture of a walk, or a saunter if you will, through Dublin city. It continues in similar fashion before throwing its cards on the table in a bold and brazen challenge; “And if you don’t believe me, come and meet me there, in Dublin on a sunny summer morning.” And then it hit me. It’s not summer any longer. Soon the sunny morning will be replaced by cold, dank, dark, miserable, grey-skied mornings while we wrestle with bulky coats, uncooperative scarfs and forehead-itching wool hats and plod our way through puddles to a soundtrack of splutters, sneezes, coughs and wheezes. I shuddered for a fleeting moment before remembering that actually this Autumnal transition from Summer to Winter is in fact my favourite season of the year. Winter will arrive in all its harshness and ruthlessness, and of course it won’t be as bad as it seems from here, but until the winter winds come to chap our lips and batter our bodies with a biting chill, the autumn, or Fall as our American cousins would say, has something special for us to enjoy in Dublin – and you can enjoy it too. Here’s seven or so reasons why a visit to Dublin in autumn is a great idea. Ireland is well-known for experiencing four seasons in a day in terms of the weather, at times it’s as if Ireland doesn’t know what time of the year it is, but aside from rain showers and unexpected sunshine there is a certain crispness to the air that arrives this time of the year but without being bitterly cold. It’s refreshing, the kind of weather that calls for a brisk walk rather than the tired leg drag of ‘close’, more ‘muggy’ weather. I don’t know if the words close and muggy are used much beyond the island of Ireland to describe weather but just in case, close means warm, humid, stuffy….as if the weather is close, on top of you almost, while muggy means much the same but connotes an element of ‘stickiness’ and unpleasantness. Anyway, I digress. The point is that there’s a certain invigoration and freshness to temperatures in October which makes rambling Dublin’s streets quiet a nice experience. September brings with it the phasing out of the ‘tourist’ season which means flights in and out of Dublin cost a good bit less than in the thick of ‘high’ season. So too is accommodation and a few nights in a quality hostel in the heart of the Irish capital city can be exceptional value this time of year. Cheap flights and a cheap hostel – half the battle convincing you to come to Dublin is likely won already. The traditional tourist has gone back to real life now - but you’re a backpacker, this is your real-life, at least for now. You can enjoy a bit more space while you discover the city as the streets and sights, pubs, cafes and the like are less inundated with fanny-packs, cargo pants and awkwardly sized maps. Not that there’s anything wrong with fanny-packs and cargo pants, if that’s how you roll then great, I’m just saying there’s less of them to dominate your view of things. The city is of course still buzzing with locals and visitors alike but I think you get a much more ‘authentic’ feel of local Dublin either side of tourist season. With all that said, we are blessed in Dublin city with a wealth of fantastic cafés and pubs in which to warm up and refuel when desired - be it with a tea or coffee in Bewley’s, delicious hot chocolate in Butlers, an Irish-coffee or hot whiskey or, of course, a lovely pint of Guinness in front of an open roaring fireplace in a great pub or snug. 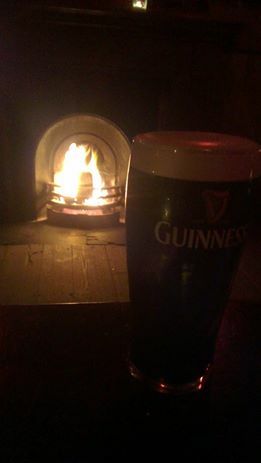 There really isn’t anything like a nice pint in front of a Dublin pub fireplace, surrounded by good people, maybe even some live traditional Irish music & song, as the evening calmly makes way for night. Irish small-talk has always included casual observation of the common, obvious phenomena and where late spring’s chit-chat would inevitably open with “grand auld stretch to the day now”, this time of the year the cornerstone of idle chatter tends to be something like “ tis getting dark awful early now, isn’t it aye”…or some such. But shorter days mean longer nights and, in a city well-known for our love of having great nights out, this is only a good thing. The atmosphere is different here when it gets dark. The collective buzz of looking forward to the night, which builds up during the day, is unleashed that bit earlier and the local nightlife for which we are famous kicks off all the sooner. Dark = night. Night = drinking time! Another advantage to the shortened day is how beautiful Dublin city is lit up in the dark. Bridges and buildings are cast in colourful illuminations, adding a touch of romance and enchantment to the stroll to the pub. This is enhanced by the all-to-early onslaught of the Christmas lights which, despite being ridiculously premature and blatant in their mission to accelerate the flood of festive consumerism, are very pretty and make Grafton Street feel like a little winter wonderland. 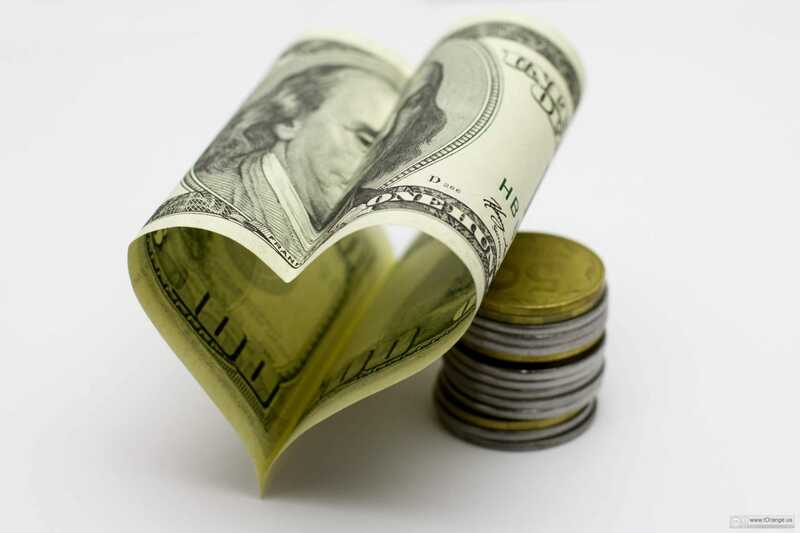 Admit it, you’re feeling a little warm & fuzzy inside already. Ireland had never been known to fly the culinary flag much, we were never particularly famous for our cuisine - indeed food on this Island had long been a matter of function rather than an expression of culinery artistry; meals were born out of necessity, simply to eat. A long-standing association with the humble potatoe and the legacy of the great famine are reflective of a trite approach of yore to food here. Now of course times have changed – this little island has, impressively enough I might add, managed to excel in a multitude of areas and disciplines – food being but one. We have produced some of the world's greatest chefs and there are plenty of Michellin stars knocking around these parts, six of which are in Dublin. But that's not really the point I'm making, backpacker budgets are never likely to stretch beyond tap-water at a Michellin starred resteraunt but you can enjoy the wholesome, hearty, warming, nourishing and nurturing, distinctly Irish, cuisine on offer from the vast number of eateries in the city – the kind of 'pub-grub' fare that leaves you feeling fulfilled and satisfied. 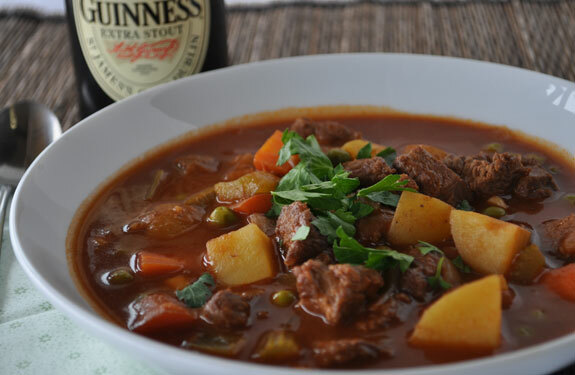 It's the kind of food your mother used to make for Sunday dinner, if she was Irish – Irish stew, Beef and Guinness pie, roast, boxty, cottage pie, soup and soda bread, even the full Irish breakfast are just some of the meals that really shine on a dim, cold Autumn day and remain thoroughly enjoyable, filling and oh so tasty. So, imagine yourself sitting among the aged wooden decor of an old pub, the warm glow of the fireplace and candles carassing your face and hands while rain beats down on the outside world and the smells and aromas of rich, gravy-soaked, warm, delicious, hearty Irish food waft and spiral around you, teasing your nostrils and stomach until your delightful meal is placed before you and it's time to tuck in. Lovely. Leave room for dessert....a crumble or some such. Okay, we do love our beer year-round here. But we are having a beer revolution here currently (which I have written about before for HostelCulture so you can read more on that if you so wish) with many new craft beer producers springing up and really adding a long needed diversity to our choice of beers. 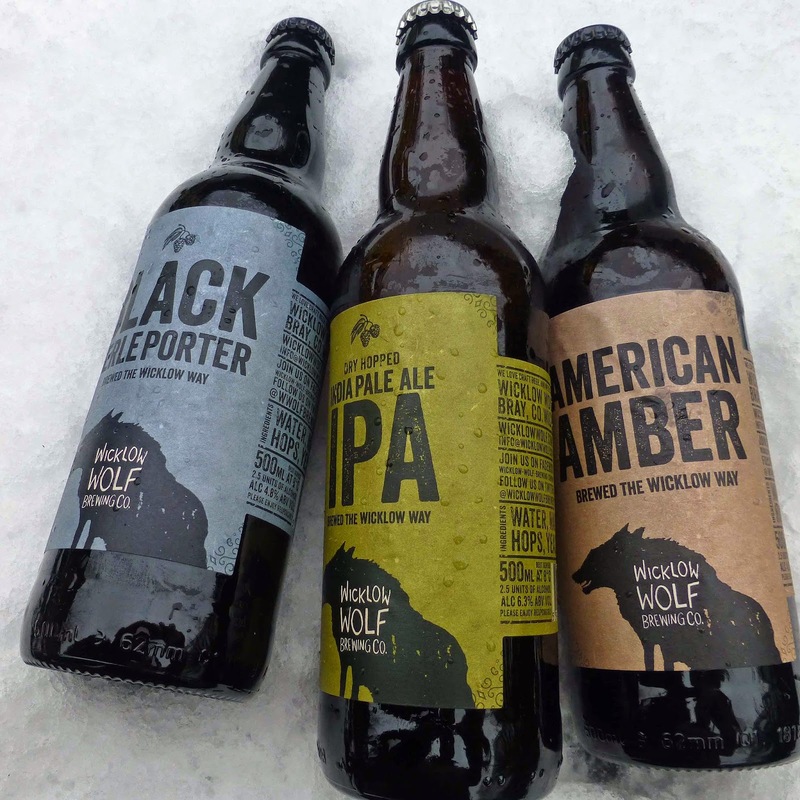 Autumn and Winter now bring with them an exciting array of limited edition seasonal beers which will be available for a short time – many local Dublin pubs celebrate seasonal releases which you may never get to try again! Also, if you are in Dublin and like your beer you can join us for our free tour about the legacy of beer brewing in Dublin and discover the exciting craft beer movement with free samples and a knowledgeable local guide. In addition to this awesome tour, you can also check out The Original Backpacker Pubcrawl held every night for some extended fun. So that's it for now folks, my seven or so reasons for visiting Dublin in Autumn (or indeed Winter). 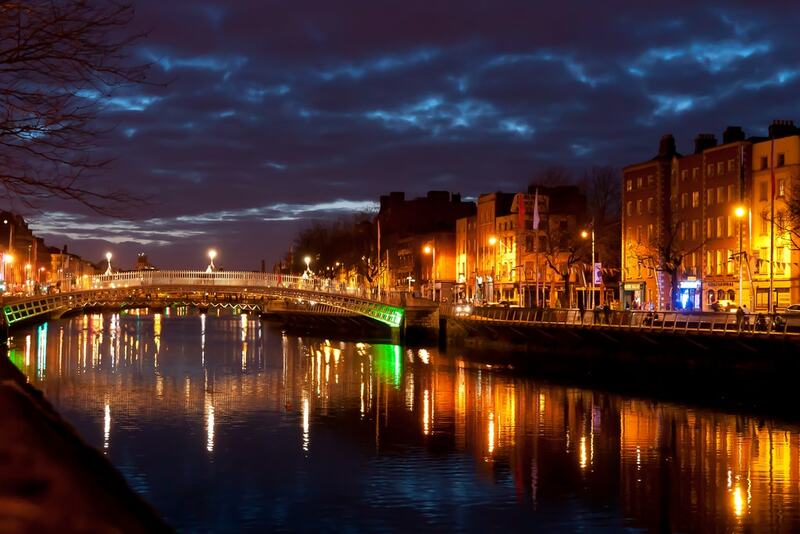 For me, there's nowhere like Dublin this time of the year so if you have a couple of days why not come and visit us? Enjoy the smell of roasting hops from the Guinness factory in the air as you notice that you can see the trace of your breath before you while you stroll through the illuminated evening streets of this fair city on the way to one of the best places in the world, a little pub in Dublin.